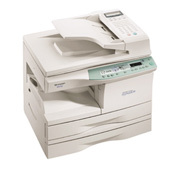 A multifunction digital copier with a standard automatic document feeder and built in fax function. With a 500 sheet paper supply, this model is a true performer. Add an optional Host-based printing system for additional productivity.